Land Rover has launched the new 2.0L Ingenium diesel engine 2017 Range Rover Evoque in India at prices starting from Rs. 49.10 Lakh. Design is very much similar with the earlier model, Changes include a slightly tweaked front bumper with massive air dams, new front grille and a more prominent roof-mounted spoiler. It comes with adaptive full LED headlights that also house LED DRLs. The adaptive nature of the headlights ensures that the light beam is automatically aligned with the steering inputs, thus optimising visibility during night drives. It also inlcudes a new 10-inch InControl Touch Pro touchscreen infotainment system. 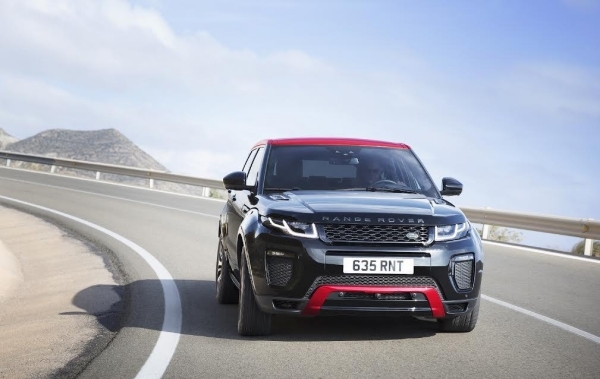 Range Rover Evoque is the new 2.0-litre Ingenium diesel engine that is rated at 177 BHP. This engine is mated to a 9-speed Automatic Transmission that delivers power to all four wheels. The Ingenium series of engines are claimed to be around 20 kg lighter than their equivalent previous generation engines. They feature computer-controlled adaptive engine cooling and latest generation variable geometry turbocharger.